Everyone is told that college is the best four years of your life. College consists of being away from home, meeting new people, and preparing yourself for the rest of your life. The people you meet in college make the biggest impact on your happiness while you are in school and beyond those four years.These are the friends who supported you through some of the hardest, yet most exciting years of your life, and they rightfully remain in your life beyond college. 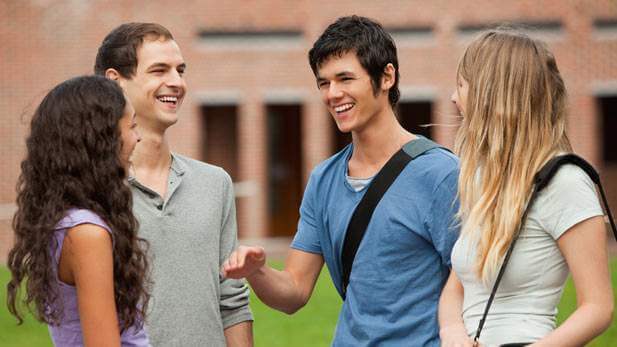 These six reasons explain why your college friendships are lifelong friendships. Between the ages of 15 and 25 is when most people establish lifelong friendships. Singles tend to rely on friends for companionship. Best friends usually become an extended family. Since many students who are in college may not have family or friends from high school nearby, they’re looking for other people to study with and hang out. College friends are somewhat different than friends from high school because you bond in different ways. You may bond during late night study sessions, making dinner together, or during long drives home. In a way, they’re somewhat like your family away from home. Some friends may make sure that you wake up in time for your midterm or make you soup when you’re sick. During college there are a variety of ways to develop these friendships, which have the potential of becoming lifelong friendships. Sometimes many students make lifelong friendships with their roommates. If you have a good experience with your roommate during your first year of college, you may want to continue living with that roommate. You may also decide to live with other people as well. Sharing a house or an apartment allows you to spend time with people and really get to know who they are. You may learn things that only their families know about them like how long they take in the shower or what kinds of odd things they like to eat. Living together also provides opportunities for a lot of inside jokes, which can create even stronger bonds. You may also become closer when one of you becomes sick, and the parental instinct kicks in. By joining a club, you may be able to find people who share similar interests. Usually college campuses offer a variety of clubs like those that are associated with academic majors, public interests, politics, music, or careers. There are also fraternities and sororities at different colleges. Clubs provide an opportunity to meet people outside of the classroom, and the opportunity for you to get involved with something that you’re passionate about. Being involved in extracurricular activities may also alleviate some of your stress. Developing lifelong friendships does take some time. Don’t be discouraged if the first couple of people you meet don’t turn out to be the type of friends you were hoping for. You may need to keep on trying to meet new people. You may make friends with people who you wouldn’t have considered being friends with before. If you feel uneasy about the friends you have made, try to remember what you liked about your friends from high school. Keep yourself surrounded by good people who share similar goals to help you stay on track.